It’s hard to believe that it’s been three months since Nintendo made the announcement to re-release EarthBound, a game that was first seen in 1995, in the West again. All that waiting, whether you’ve been waiting for 3 months or 18 years, has finally paid off as today the game has been made available via the Nintendo eShop for $10. $10 might seem a bit much for an 18 year old game, but considering that cartridges go for the same price as a Wii U, I’d say it’s a fair deal. The download will also come with a digital version of the official strategy guide that the original game was bundled with. EarthBound is such a wacky game, and there are a ton of things to see and do. Miiverse is sure to be alive with fans, old and new, that are (re)discovering all the game has to offer. Also, this would be a great time to reveal Ness’s return to Smash Bros. (hint hint, Sakurai). Check out the new trailer too! For my in-depth thoughts about the game, read my review! 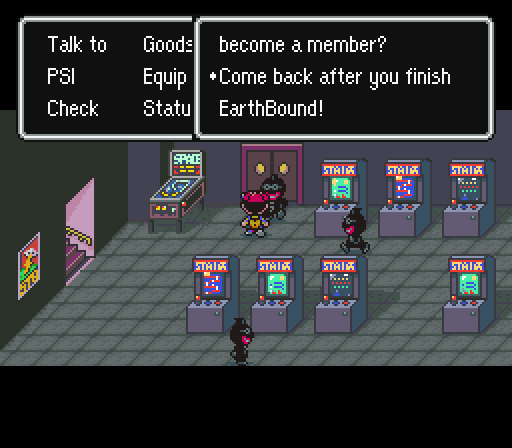 To buy the game, go to the official Nintendo EarthBound website!